million people. 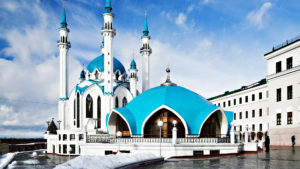 Moreover, Kazan is the capital of the Republic of Tatarstan (semi-autonomous region), which is considered to be one of the most ethnically diverse areas (8 different nationalities). What does it mean? It means that you will get to experience many different cultures in Kazan, not just Russian. That is why, actually, the city is named Kazan which means ‘cooking pot’ translated from Tatar language. Kazan was proclaimed an unofficial Third Capital of Russian Federation by its current President- Vladimir Putin. The city is beautiful and authentic, and if you just wonder around it you’ll always find something interesting to do. Nevertheless let us tell you what the must-do’s in Kazan are. You should definitely start with the Kazan Kremlin. It is a museum complex, and the city’s historical center. 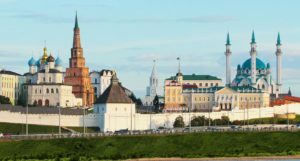 The Kazan Kremlin itself is the only standing Tatar fortress in Russia, and the world’s only center of Tatar’s culture. Besides the fact that it’s absolutely gorgeous, it’s also very old, and full of history. Ivan the Terrible or Ivan the Fearsome (Ivan IV) ordered to construct it in the 16th century on the ruins of a Khan’s castle. So, once you’re in the Kremlin, you will not be able to miss its main highlights. Let’s start with the most unusual one – Qolsharif Mosque. It is one of the largest mosques in Russia and Europe, outside Istanbul. It is a Muslim place of worship, and a UNESCO World Heritage Site. It’s also a complex, consisting of three pieces, a mosque, administrative building and a memorial stone. The Qolsharif Mosque is beautiful inside and outside, so it’s a must-visit place. On the premises of Kazan Kremlin, there’s also the Hermitage-Kazan Museum which is considered a sibling of the Hermitage in St. Petersburg. It has rotating exhibitions, many of which come directly from the Hermitage. You must also visit the Natural History Museum of Tatarstan, which is also there in the Kremlin complex. 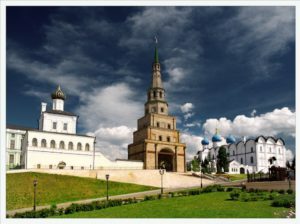 It is the perfect place to learn about the geological history of Tatarstan. The most famous building in Kazan, however, is the Leaning Syuyumbike Tower. It is also a part of the Kremlin complex. The legend behind this tower is very interesting. Of course, there’s no solid proof that it was actually so, but here it is. 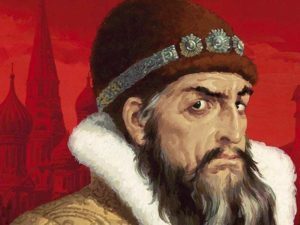 Once, Ivan the Terrible got a hold of Kazan, he wanted to marry Princess Syuyumbike who was not very excited about that idea. She gave the Tsar an impossible task (or so she thought) – to build the highest tower ever. Ivan did just that, but the Princess went up the tower, and jumped off to avoid the marriage. Whether it’s true or not, just remember that you might need the whole day, or at least half a day to explore the Kazan Kremlin complex. 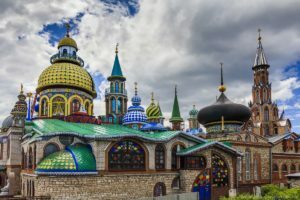 As mentioned above, Kazan is the most ethnically diverse city in Russia, so no wonder there’s even a Temple of All Religions there. It’s an absolutely unique place created by a local architect and artist Ildar Khanov. This temple drew inspiration from sixteen different faiths. You will notice the various minuets, cupolas and spires, each having a different religious attribute – Muslim crescent, Christian cross, Star of David and even a Chinese dome. The idea was to represent the unification of all the major religions under one roof. 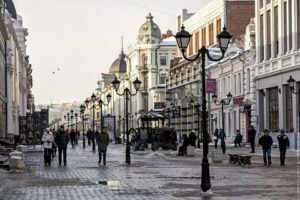 Make sure to take a walk through the main and oldest pedestrian street in Kazan – Bauman street (Kazansky Arbat). The street is around 1.3 km long, and is entirely closed to traffic, so you can enjoy a long peaceful walk there. You will see many street performers, monuments, statues, souvenir shops and cafes. You will not be able to miss this, but make sure you stop and admire the Epiphany Church and it’s bell tower. Many say, that this street makes you feel like you’re somewhere in Europe. Well, you’ll just have to check and see if that’s true. If you want to know what it was like living during the Soviet times, you’re welcome to visit the Museum of Soviet Life.You can even dress up in vintage soviet clothes and take pictures. It’s pretty interesting and fun. Don’t forget to visit the colorful Kazan Central Market to experience the real atmosphere and culture of a Tatar bazar. You can find all kinds of food there, make sure you try some delicious local treats and even get some souvenirs. Nothing has changed in this market since the 90’s, so it will definitely be an adventure. 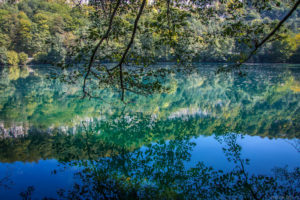 In case you want some peace and quiet, you should visit the Blue Lakes. Just remember that the water there is ice cold all year round, so if you’re into extreme diving you can try that too. If not – just enjoy the beautiful views. You also don’t have to go far to admire the Volga River. You can do that right in the city at Kremlyovskaya Embankment. Last, but not the least, since you will be learning a lot about Tatarstan, its history and culture, you must try their local food. Try these: kytsyby (folded flatbread), echpochmak (a kind of meat pastry), kazylyk (horse sausage), kaklagan kaz (air-dried goose), zur-belish (large pie, belish – small), talkysh kale (Turkish sweet) and chak-chak (Tatar sweet). You can try Tatar food, and all of the above, at Tatarskaya Usadba (best Tatar food according to Trip Advisor reviews), Dom Chaya (cheap and tasty), Dom Tatarskoi Kulinarii (formal environment) and Bilyar – a chain of restaurants of authentic Tatar cuisine. Kazan is a truly unique and wonderful city, even Kazan Arena is a true state of art. There’a lot to see in Kazan, but don’t miss the FIFA 2018 matches which will happen from 16 till 27 June. Enjoy Kazan to the fullest! MilesAway Travel specializes on bespoke itineraries around Russia. Contact our friendly travel experts for some travel advice and packages.